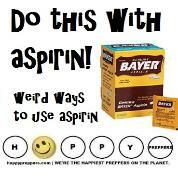 Prepper Salt Use #8: Removing poultry pin-feathers. homesteaders with the task of removing pin-feathers. Prepper Salt Use #9: Peeling eggs. 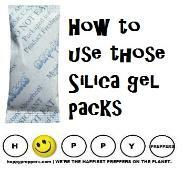 peel more easily when boiled in salt water? Prepper Salt Use #10: Testing a bad egg. fresh egg sinks; conversely, a bad egg floats. Prepper Salt Use #11: Cleaning up an egg mess. generations. Use salt to clean up egg spills. Prepper Salt Use #12: Pest control. Salt drives ants away, and is a cruel death for slugs. 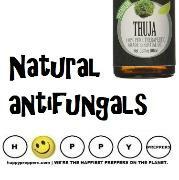 Learn more about how preppers get rid of bugs naturally. Prepper Salt Use #13: Boiling water. faster, which often reduces cooking time saving valuable fuel. pasta has a limit to salt absorption. Prepper Salt Use #14: Dish washing. help you rinse your coffee stained glass. Yes, salt will also help you clean tea stains in your cups. Prepper Salt Use #15: Thawing and melting ice. 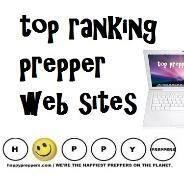 Prepper Salt Use #16: Attracting wild game. but set out salt licks for attracting wild game. 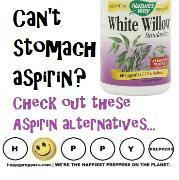 essential vitamins and minerals that animals both crave and need. 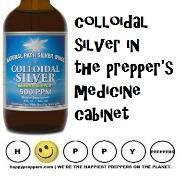 Prepper Salt Use #17: Varied medicinal uses. nerves, but sodium helps your body regulate blood pressure. solution. Salt acts as an isotonic. muscles to move, and it also control your blood pressure. 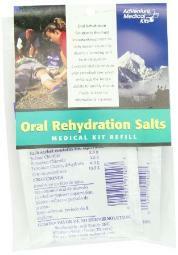 Diluted, salt works as a mild antiseptic. let it dry naturally. The salt helps dry your wound. Learn more about prepping concerns during pregnancy. 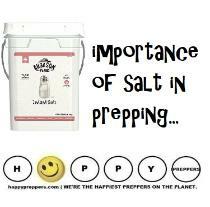 Prepper Salt Use #18: Removing wine and blood stains. stains and repairing clothes would help prolong their usefulness. 33 times between December 13, 2012 and March 30,, 2018. This helps protect our copyright. Not all salt is the same! 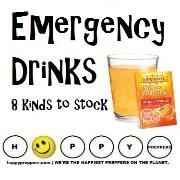 Thriving with Food Storage," recommends preppers stock 10-lbs. Sea salt. 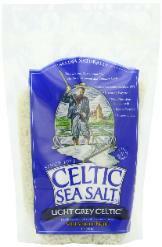 Natural sea salt does not have iodine. 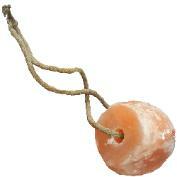 and to help regulate fluid balance in the body. Pickling salt. 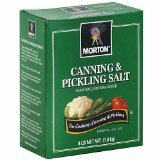 Preppers will need pickling salt to brine. pickle curing of meat, game, poultry, salmon, and other fish. cure or a pickling cure. blocks can be used to attract wild life! Epsom salt. 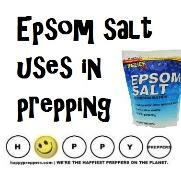 Not edible, Epsom salt is a prepper's best friend. 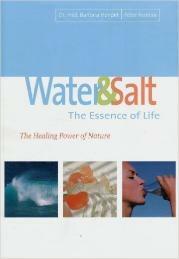 Salt is a mineral (not a spice) with such a rich history in survival. and that is how soy sauce was born. and used salt as a valuable part of mummification. with minerals. 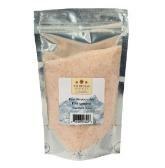 Ordinary table salt is devoid of some 80 minerals! evaporated from the ocean and includes the goodness of nature. What more can you do with salt? the bristles in hot water mixed with salt. If you have something rusted, salt can help with that too. Salt can help you remove rust. How will you find salt in the wild? however, salt in excess is harmful. Salt lamps on the homestead. 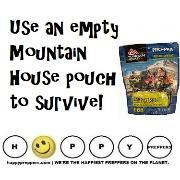 prepper you should not only stock up, but store it properly. important part of prepping. How much salt should you store? salt can make bland food taste better. 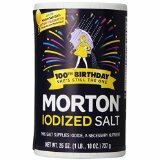 How much salt to store? you can cure around 200 lbs. of meat. should in preparation for a society off the grid. 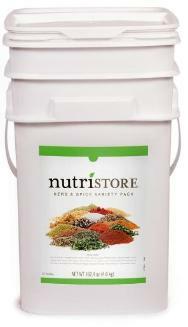 Prepper Salt Use #1: Electrolyte balance. fluids and it's the electrolytes that help with muscle contraction. 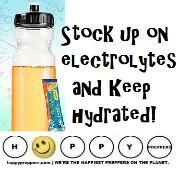 electrolyte balance can keep you from getting heat stroke! Gatorade runs out, you can make your own electrolyte drink. See the salt and sugar electrolyte recipe below. 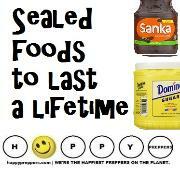 Prepper Salt Use #2: Food preservation. 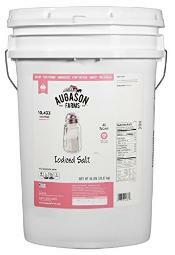 to store salt is for food preservation. useful as a food preservative. 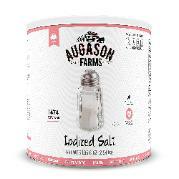 We need salt to preserve food. osmosis where the salt pushes water out of the microbial cells. to darken pickles or cloud pickling liquid. kitchen and not just for seasoning purposes. 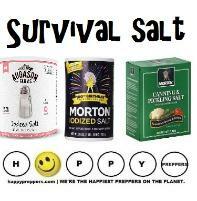 Prepper Salt Use #3: Put out a fire. on a grease fire can effectively help you smother the flames. 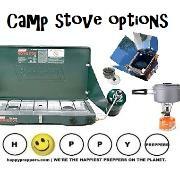 See our list of fire suppression ideas for preppers. Prepper salt use #4: Fireplace cleanup. flake off. Read more tips for cleaning the fireplace and chimney. 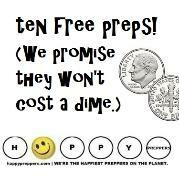 Prepper salt use #5: Bartering. 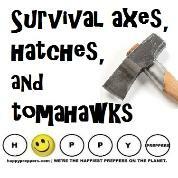 would serve a prepper well in a long-term survival scenario. 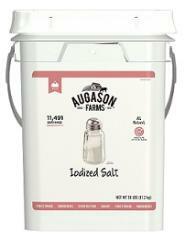 don't want moisture to degrade your salt in storage or wash away. Prepper Salt Use #6: Disinfectant for cutting boards. washing them in soap and water. 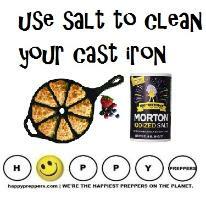 Prepper salt use #7: Cleaning cast iron pans.